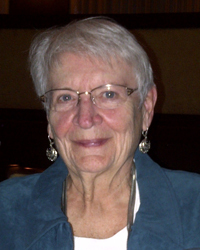 Dr. Ruth has served in pastoral ministry since 1966 and counseling since 1975. As a Professional Pastoral Counselor, Benton has provided 50,000+ hours of counseling and provided more than 1,500 hours of clinical supervision to other counselors. Click HERE for Dr. R. Benton Ruth’s full bio. Cozette specializes in Marriage and Family Therapy, Co-dependency issues as well as individual counseling with women facing infidelity trauma and divorce. Click HERE for Cozette Myers’ full bio. “Spiritual Direction is offered as a means to grow in your relationship with God. The transitions in life can be destabilizing to ones’ over-all being. It is at times like these a Spiritual Director, or Guide can assist you in becoming connected/reconnected to the source of life.” Click HERE for Dr. Leonard’s full bio.